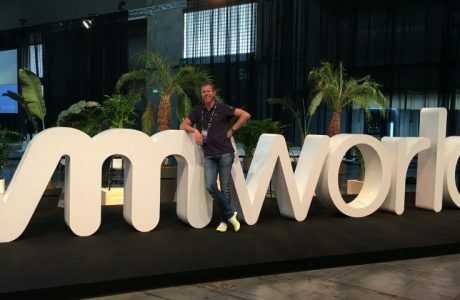 This week, Barcelona was the virtualization-capital of the world because of the annual VMworld conference that took place at the Fira Gran Via. 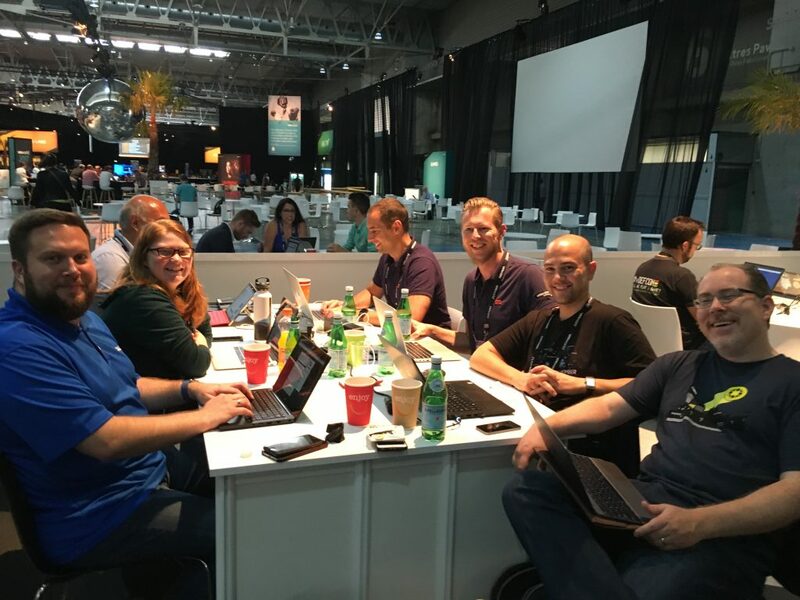 Although it was very close to the Vegas conference (which had all of the announcements), this edition of VMworld Europe was still a great one with many highlights. 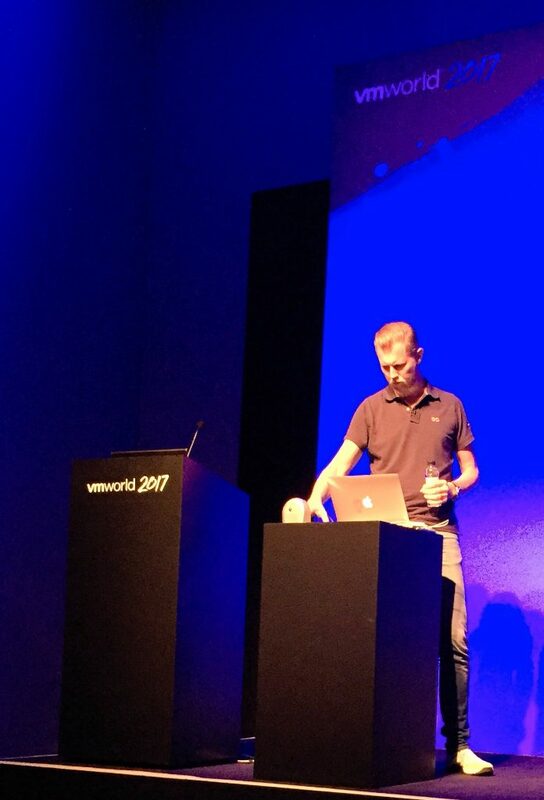 The absolute highlight of this VMworld to me was of course my own breakout session. As this was my first performance at the number one stage in the world, I must admit that I was quite nervous. Especially since I added a lot of live demo’s to the session. 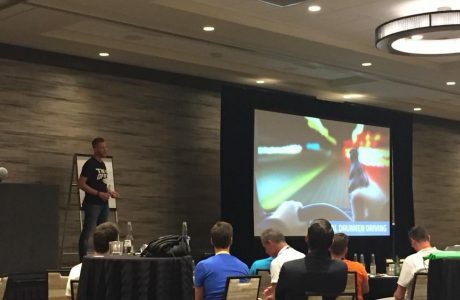 The main reason for this is that to me, my favourite sessions are always the ones that contain live demo’s and I wanted to give the audience a great user experience (as that is one of the topics of my session). With a packed room, a smooth demo and great questions at the end, I unlocked another achievement in my career: become a VMworld speaker. Specials thanks to Matt Coppinger for making this all possible and my co-presenter Stephane Padique for being awesome. 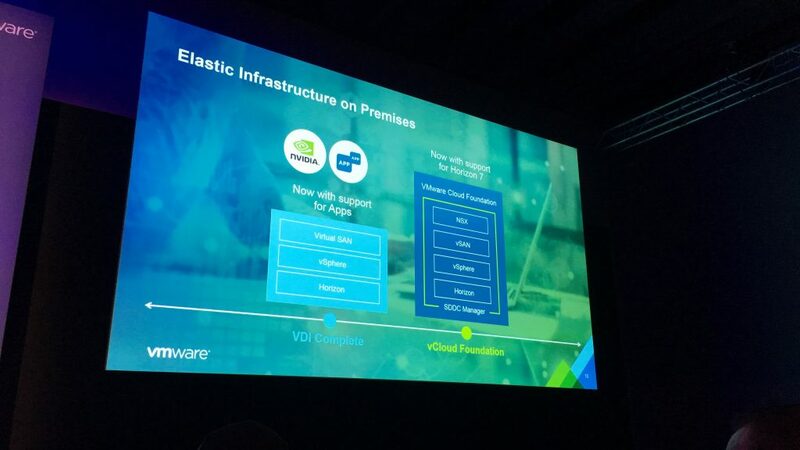 One the things I became really excited about is VMware Cloud Foundation (VCF). VCF is a complete platform that consists out of server hardware, a full VMware stack (including vSphere, NSX and vSAN), an SDDC manager. The VMware is installed as a bundle in which all version numbers of the stack are approved in a certain version of VCF. 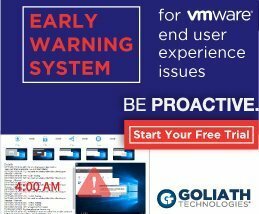 This means that you aren’t able to upgrade a single product to a new version, the stack get’s upgraded per domain (workload domain or management domain) and all products within that domain at once (hosts, vCenter, vSAN, NSX and possible applications that you are running in that domain (such as vRA or Horizon 7). Building a complete Horizon 7 PoC based on VCF 2.2 only takes 4,5 hours including App Volumes and NSX for Load Balancing the connection servers and App Volumes managers. Upgrading the stack is fairly easy as the SDDC manager will take care of the whole process. Pretty awesome if you ask me. I’m looking forward to future releases of VCF and all possibilities that it brings to the table. As always, ITQ is represented at the VMworld conferences. But like Pat Gelsinger’s words Today is the slowest day of tech evolution of the rest of your life, we have our own saying: Today is the day that the highest number of ITQ employees attended VMworld. As ITQ grows continuously, our team of consultants that travel to Barcelona grows with it. We are very proud of our great presence at the VMworld conference and our involvement in global projects that were mentioned in the keynote such as Liberty Global. 4 of our consultants (including myself) have worked at Liberty Global in an SDDC project. 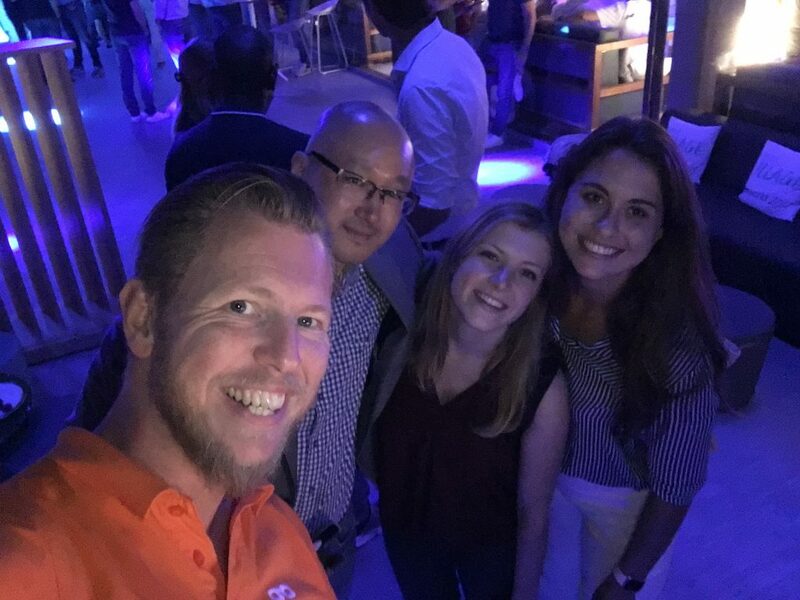 Next to our personal interest and participation in the event, ITQ also sponsored the VMware Benelux VM Village party, organised a cocktail dinner party and arranged a visit to the Mare Nostrum Supercomputer & data center for our customers and community friends. As you may have seen in my previous post, I started creating video blogs (vlogs) in Vegas. Since Vegas, I upgraded my gear a bit with an external mic and I’m really proud of the result. More vlogs will follow soon, so keep coming back for more content! Part of of my job as a Tech Marketing Architect is of course blogging, tweeting, presenting and vlogging (since a couple of weeks). And at the (online) communities you always meet interesting people. What’s really cool, is that during VMworld you have the ability to meet those people face-to-face, and that’s what I did. To all the people I met this week, I’m looking forward in meeting again. 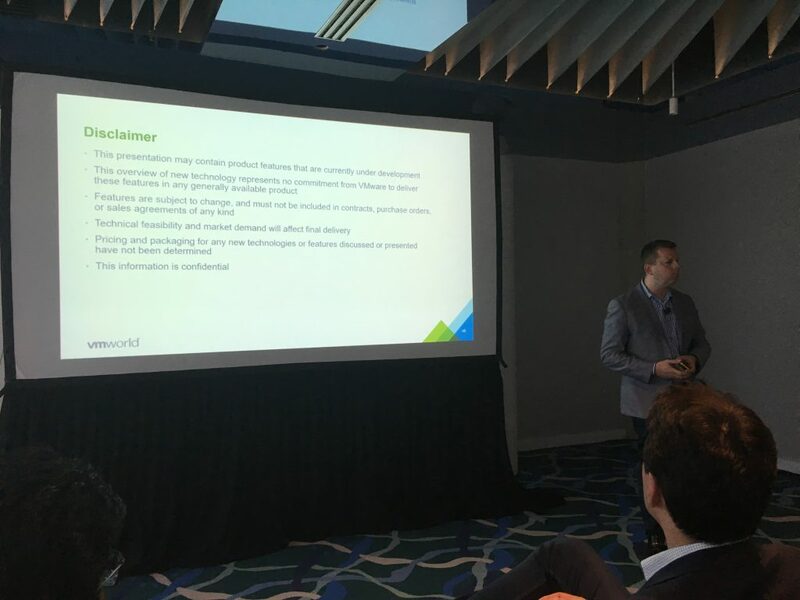 A special shout-out to the people from the VMware VMTN section, you really made a difference this year! Like every year, EUC gets a bigger stage at the VMworld conferences. 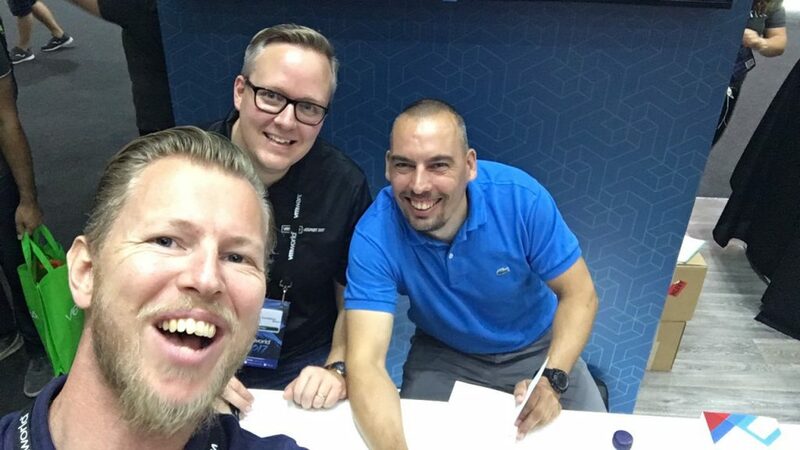 Although no big announcement have been made this edition, the presence and presentations of people like Shawn Bass, Sumit Dhawan, Spencer Pitts and Matt Coppinger made my VMworld one of the best I’ve been to so far. All of them (and many more) take the time to talk to you and try to answer as much questions as possible. Those moments definitely were a highlight. No VMworld conference is complete without the solution exchange. This year’s solution exchange felt a bit smaller and I missed a couple of vendors to be honest. Liquidware was one of the Best of VMworld winners in Vegas and wasn’t present in Barcelona. Same goes for Igel. On the other hand, I was blown away by a demo of Morpheus and some of the cool things that vendors arranged to let them stand out of the crowd. 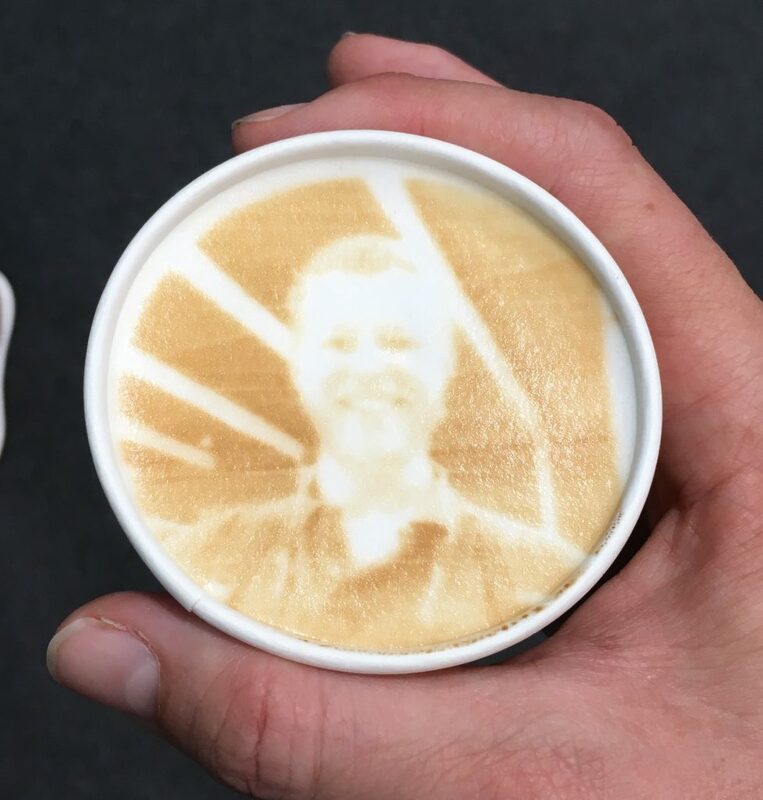 What to think of a latte art printer at Fujitsu? Or the great giveaway from Rubrik (the Host Resources Deep Dive by Frank Denneman and Niels Hagoort). 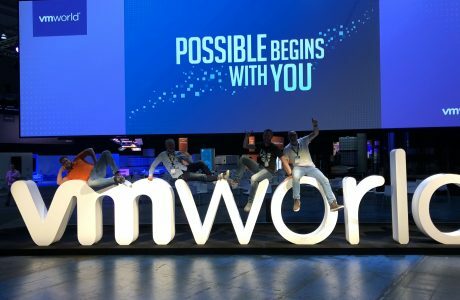 My conclusion: VMworld 2017 in Barcelona was awesome. I’m both glad as well as disappointed that it’s over. Glad because I’m near-dead after both Las Vegas and Barcelona in 2 weeks time. Disappointed because I really enjoyed meeting you all and had so much fun in presenting, blogging, vlogging and tweeting. 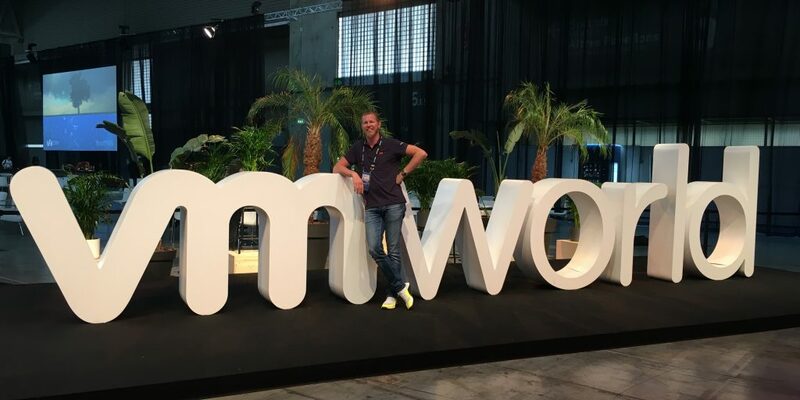 I’m looking forward to VMworld 2018 in Barcelona which will take place early November. And that may be the key ingredient for a European conference with tons of announcements!